Unitarian Universalist Society: East became an officially designated Green Sanctuary in June of 2006. 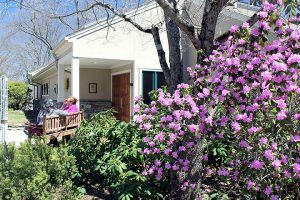 We were one of the first 50 congregations in the nation to be certified by the Unitarian Universalist Ministry for Earth (UUMFE) and the Unitarian Universalist Association (UUA), and were the first in Connecticut. Our congregation went through a long process that involved an environmentally focused evaluation of all aspects of congregational life, and the creation and completion of a 15 step action plan. In 2013 we were among the first congregations in the nation to be recertified as a Green Sanctuary by UUMFE. Numerous services and educational programs on national environmental topics, such as “fracking,” to actions on congregational grounds, such as certification as a “Backyard Wildlife Habitat” (from the National Wildlife Federation) and eco-scavenger hunts. Work on the ground-breaking environmental justice law that was passed in CT in 2008. UUS:E members were very instrumental in the process. Reverend Pawelek was the lead organizer of a multi-cultural group of ministers who gave two press conferences in support of the legislation. Efforts to inform poor and minority residents about the benefits of a state subsidized energy audit of their homes and the steep discounts available for energy conserving improvements. We persuaded the energy audit company to make donations to the local fuel bank for every customer we sent their way. The building remodel in 2010 and subsequent improvements incorporated many sustainability features, including a geothermal heating and cooling system, and solar panels. UUS:E is the first house of worship in Connecticut to receive EPA’s “ENERGY STAR” certification, which requires a score of 75 or more on the EPA’s test that can reach a maximum score of 100. 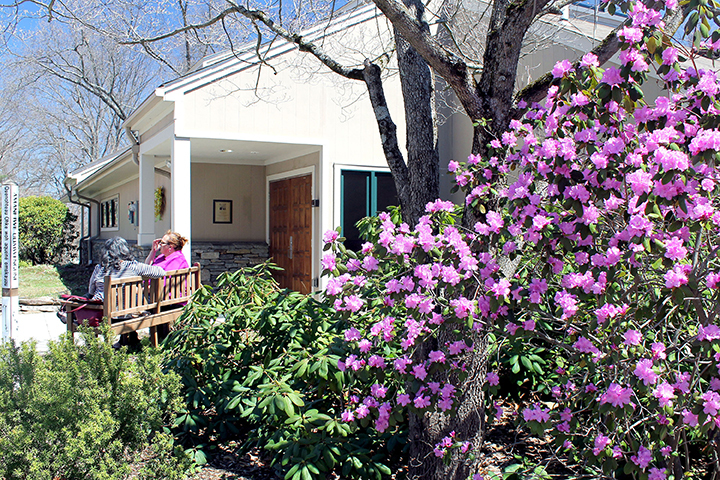 Our Meetinghouse scored a 97 based on the 12 months ending in June 2011. Extensive recycling that includes collection of member’s ink jet cartridges and old cell phones and use of real plates and silverware instead of paper and plastic products. All food waste is composted and used in our flower and garden beds. The Ecological Landscape Team expresses our congregation’s environmental concerns on our property. Click here for more information on the Ecological Landscape Team.